•	Private sidings from small to large and very specialised. •	Liasion with Railway Authorities, Government and Local authorities including all necessary documentation. This is Zimbabwe’s third largest cement manufacturing plant with a proposed cement output of approximately 1 000t/day. To assist in servicing the plant (both with incoming and outgoing bulk materials), railway facilities have been designed and constructed. These facilities have a total combined length of approximately 4km and a construction value of US$4.0m. 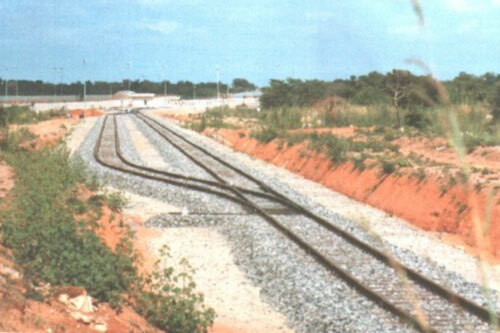 The rail facilities are serviced both by the National Railways of Zimbabwe and Sino’s own16 ton shunt locomotive. 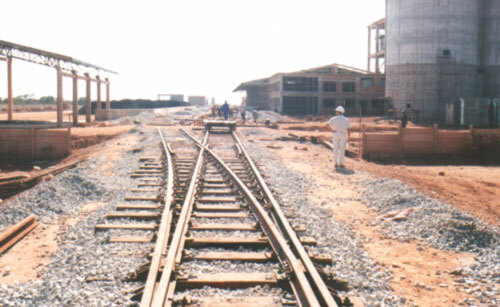 Construction of the rail facilities has taken approximately 15 months to complete. The study, preparation and cost of two alternative access routes (approx. 5Km) to serve the above Fuel terminal for the Harare to Mutare oil pipeline. Resulting from the recommended route, the carrying out of detailed discussions with existing land owners including liasion with Railway, Government, Environmental, Local authorities and various large industrial manufacturers adjacent to or in close proximity of this fuel terminal and its associated access line. 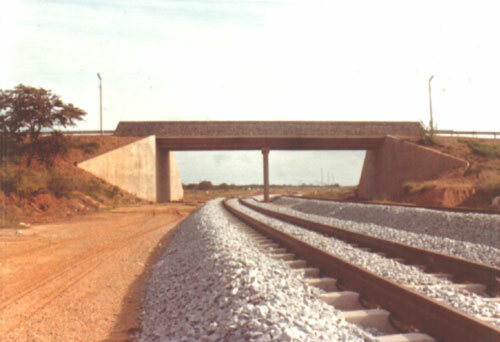 Included in the rail facilities are loading tracks of approximately 750m in length (set in concrete for spillage/pollution control) as well as tank car reception tracks and associated run around facilities for the N.R.Z. shunts. 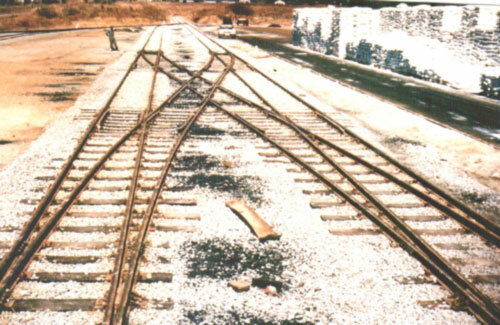 The rail facilities (including the approach route) were planned to accommodate the future overall industrial development of the Ventersburg area. Feasibility study including the preparation and costing of three alternative options for the provision of railway and handling facilities (gantries and super stackers) for the turn around of approximately 5000 containers per month with site storage for 1800 containers resulting from the preferred option, the carrying out of the study, design and supervision of construction for:- •	All railway facilities •	Associated service facilities •	Travel rails (concrete based each 450m in length to +/-3mm tolerance for 33 tonne capacity O.V.H. 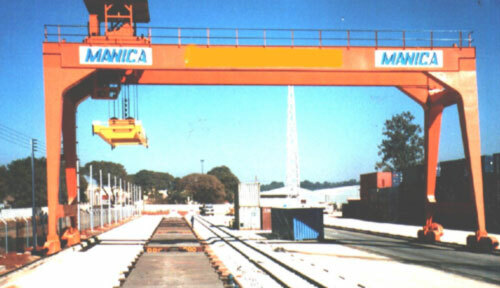 gantry) (see photograph below) In addition to the above, the holding of planning negotiations and design detail discussions with the N.R.Z., City of Harare including the necessary procurement outside Zimbabwe of the Gantry travel rail including onsite thermor welding of the rail to form jointless travel for the gantry.